The local athletics fraternity have described the late Paul Koech as a hardworking man who loved his job as they laid him to rest at his home Kipsomba village in Soy Constituency, Uasin Gishu County. He succumbed to brain tumour at Forces Memorial Hospital in Nairobi. 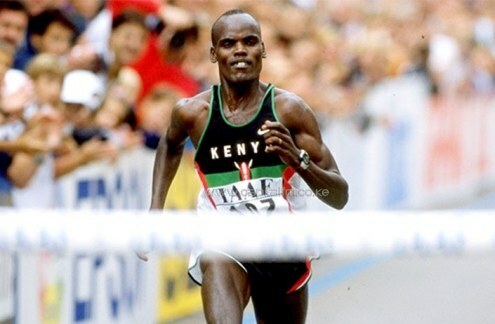 The late Major Paul Koech on his way to winning the 1998 IAAF World Half Marathon Championships title. 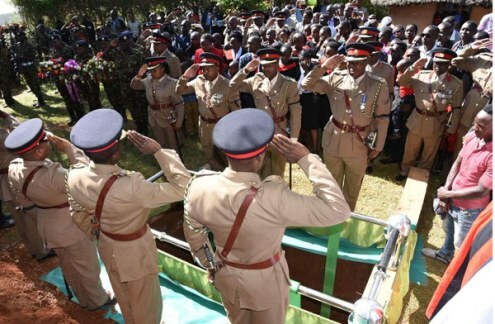 Kenya Defence Forces officers and other mourners during a burial of the late Major, Paul Kipsilgich Koech at his home in Kipsombe Village, Uasin Gishu County on September 11, 2018.